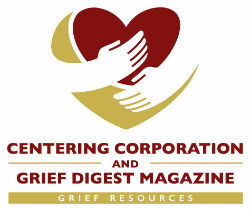 Everyone’s grief journey is different… and the ability to emerge with your soul intact is dependent upon your willingness to do the excruciatingly difficult work that grieving requires. It is a long and lonely process, and no-one can accept the reality of YOUR loss for YOU… it is something that you must do for yourself. One of the things I’ve learned on my journey is that love is a force so powerful that it transcends death. Andy and I met at the end of my freshman year in college. I was immediately attracted to his keen intelligence, wickedly ‘punny’ sense of humor, and his deep, sonorous ‘radio-announcer’s’ voice. Our skill sets were complementary; I am a big-picture person while Andy was detail-oriented. He was inherently introverted and innately technical, while I am creative by nature. We shared a love of literature, musical theater and a dedication to making a difference in the world. In August, 2011, two days before our son’s twelfth birthday, nine days before our daughter turned seventeen, Andy had a heart attack and died in his sleep. In a very real sense my life ended when he died, because without him I couldn’t return to the life we shared. In the blink of an eye I lost my husband, best friend, business partner, IT and finance director and most devastatingly, my children’s father. Although I spent the entire first week thanking God that Andy didn’t suffer, and that he didn’t die on our son’s birthday, I was too shell-shocked to really understand the magnitude of what had happened. Profound loss–by which I mean the loss of a spouse, child or custodial parent–changes you: I call it ‘crossing the great divide.’ Once you have crossed, and have been forged in the fire of grief, your life is permanently changed in inexplicable ways. If you have ever lost someone, I know you ‘get it.’ If your loss is recent, please know that eventually the good days will outnumber the bad ones. Grief does not follow a linear time frame… nor will it consent to be neatly folded up in a suitcase and gotten out when you feel like it. Especially early on in what I call ‘the grief journey,’ grief has a mind of its own, and can sneak up on you with incredible ferocity when you are least expecting it. My journey from grief to gratitude is ongoing. Even after five years there remain days when I am profoundly dysfunctional; the days that I feel overwhelmed by life’s events are when I most miss Andy. I savor the memory of our life together; our 29+ years we shared continue to impact and influence my life today. More than anything Andy delighted in being a Dad; he was a wonderful, caring, involved father, and I miss him as co-parent more than in any other capacity. Although it isn’t easy, I try to think about what he would recommend in any given situation, and to take that into account when making parental decisions. Both of our children have grown into hard-working, compassionate individuals, and I know he would be incredibly proud of them. They are his living legacy. Grieving is like embarking upon a journey to an unknown destination, against your will, without any idea of how long it will take or what you will find once you get there. In the beginning it is a full time job, and can take every ounce of determination you can muster just to get through the day. At first you may just keep putting one foot in front of the other because you don’t know what else to do. 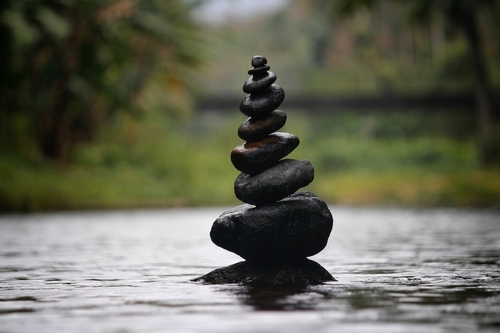 After a while, as you start to regain your equilibrium and work through your grief, you may discover an inner strength and resiliency that surprises you. When your world is shattered by loss, you wonder how you can pick up the broken pieces and glue them back together… part of the journey from grief to gratitude is the gradual, heartbreaking realization that you can’t. But as you continue your journey, you can learn to build a new life founded on the love and cherished memories you hold in your heart. Joanne Fink is an award-winning designer, calligrapher, and author. Her latest book When You Lose Someone You Love (CompanionHouse Press) offers a healing connection with all who are dealing with one of life’s most challenging times and is now available. Learn more about Joanne’s books and journey at www.zenspirations.com.